Posted by Arun Rajagopal in Advertising, Airlines, Aviation, Branding, India, Marketing, Social Media. I’m a huge fan of Finnair’s content strategy on social media. Suddenly, content strategy sounds like a buzzword. So for the sake of simplicity, I’d say unique and creative ways of connecting with travelers and creating buzz. It’s not easy bringing all these elephants into one room, but if and when you do, you have created magic. 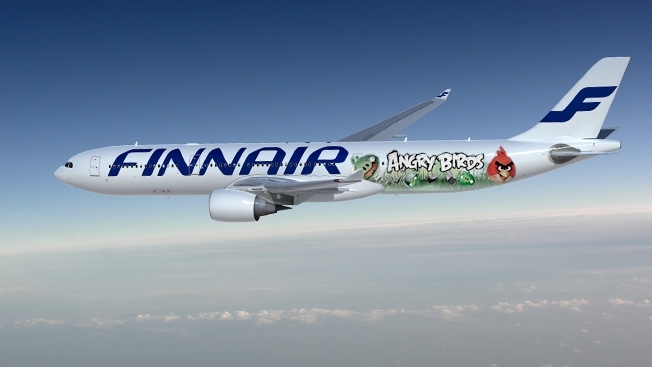 It started in September 2011 with the Angry Birds flight from Helsinki to Singapore featuring the first ever Angry Birds Asian Challenge (sponsored by Samsung and Roxio). They branded and owned the experience like no other, from a creative and execution point of view. The entire plane, airport, crew and in-flight experience screamed Angry Birds. They got the passengers to play an in-flight Angry Birds challenge. Even served Angry Birds cupcakes when they landed in Singapore. Check out these delightful snaps from the Angry Birds flight at Travelerfolio. And then they did it again in January 2012 with the Bollywood dance video on a flight to New Delhi to celebrate India’s Republic Day. The video has nearly 3.5 million video views as of today and tons of positive PR. They spotted an opportunity at the unique intersection that Indian airlines or other international airlines majorly serving India missed – India’s love affair with Bollywood and patriotic feelings inspired by the Republic Day. And the fact that Indians would warmly appreciate the gesture by a ‘foreign airline’. The secret here to create engaging content is to have an open slate, tell an interesting story and not be restricted by the canvas of your industry. Think about who you are targeting, what captures their interest most and be creative about it while having fun. The views will take off and the buzz will happen.